Did you know it’s National Caramel Day today? I stumbled upon that little fact by accident this morning and I am so glad I happened to notice that. Because had I not, this Daring Gourmet original would never have been born! It’s like happening to be at the right time and place when an unannounced sale starts and you’re able to nab a smokin’ deal. And you think yourself, “Wow, had I come 5 minutes earlier or later, I would have missed it.” That’s kinda how I feel about this cake. To think it might never have been born is…is…unthinkable! So, thank you National Caramel Day for giving me a reason to create this goopey-gooey, oozing-ooey, caramelicious cake! I knew I had about 30 minutes of overlap time in which my kids would be napping simultaneously and I went to work. Prep time only took about 20 minutes, and that included brainstorming final ingredients and ratios. It turned out perfectly. I couldn’t have been happier with it. You are going to looooooooove this cake. Don’t sit and debate the idea. Just make it! Trust me. 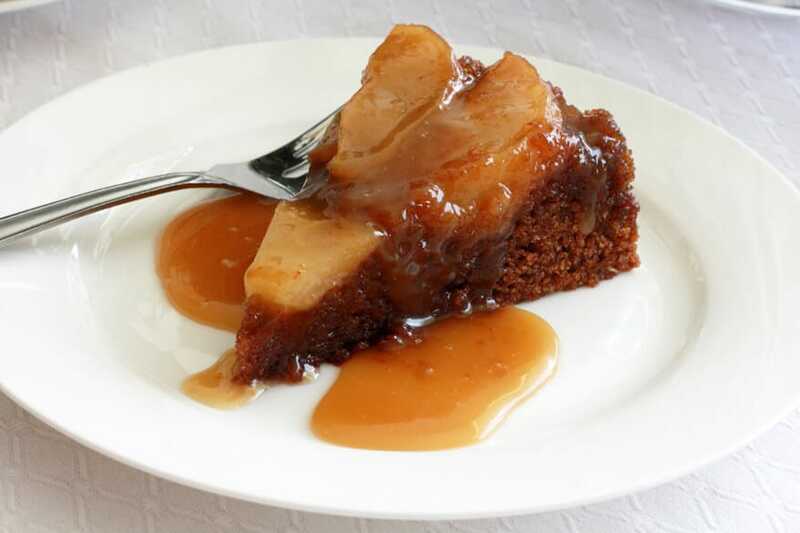 The cake itself is rich and super moist with deliciously gooey areas where the buttery brown sugar sauce soaked in. It is served with creamy caramel sauce drizzled over the top. And, if you like, for some added decadence add a dollop of whipped cream. And…drum roll, please…it’s 100% whole wheat! But healthy alternatives aside, I prefer the flavor of the whole wheat in this cake. It’s richer, deeper, earthier, nuttier, and complements the gingerbread undertones and caramel much better than white flour. Upside down cakes can often look a little intimidating, but they’re actually pretty easy to make. Some recipes will have you take unnecessary steps to melt dry sugar over the stove top first, which can be a little irking. This cake is straightforward and no tricky techniques required. 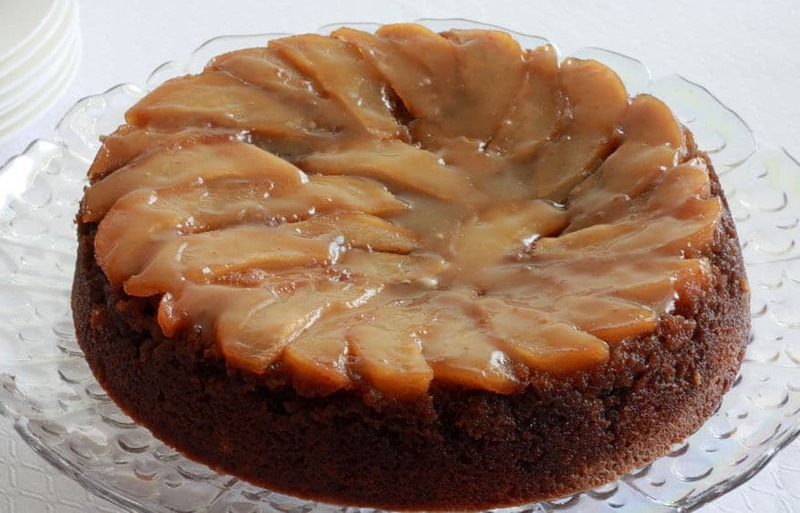 Let’s make that Whole Wheat Pear Upside Down Gingerbread Cake with Caramel Sauce! 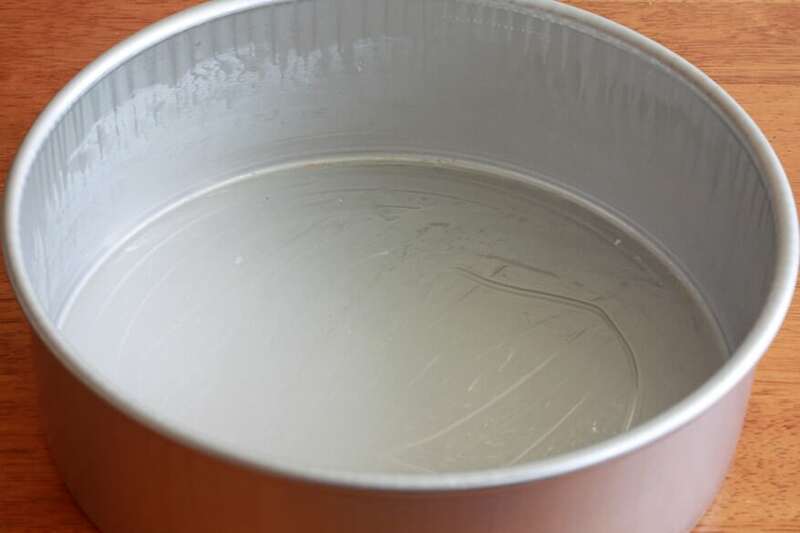 Grease a 9X3 inch baking pan. I use and LOVE Magic Line pans. 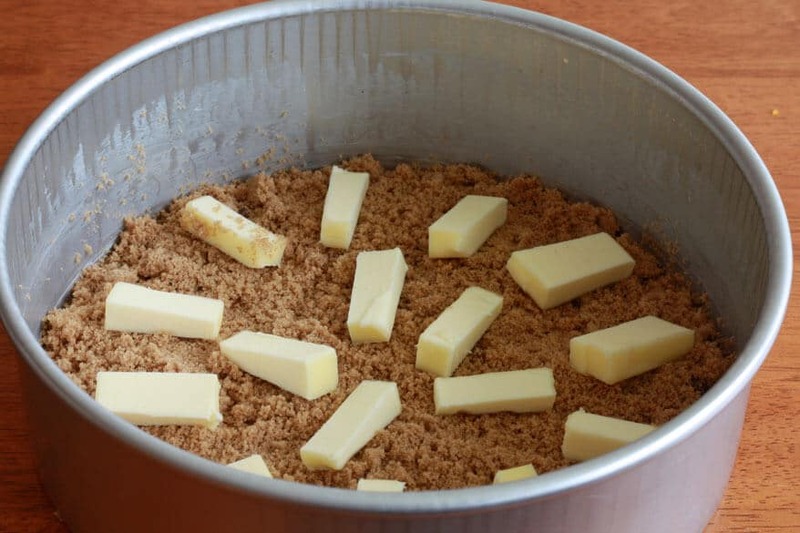 Evenly sprinkle the brown sugar in the bottom of the pan and preheat the oven to 325 degrees F.
Spread out the butter pieces on top of the brown sugar. Place the pan in the preheated oven and leave it in there for about 8 minutes. 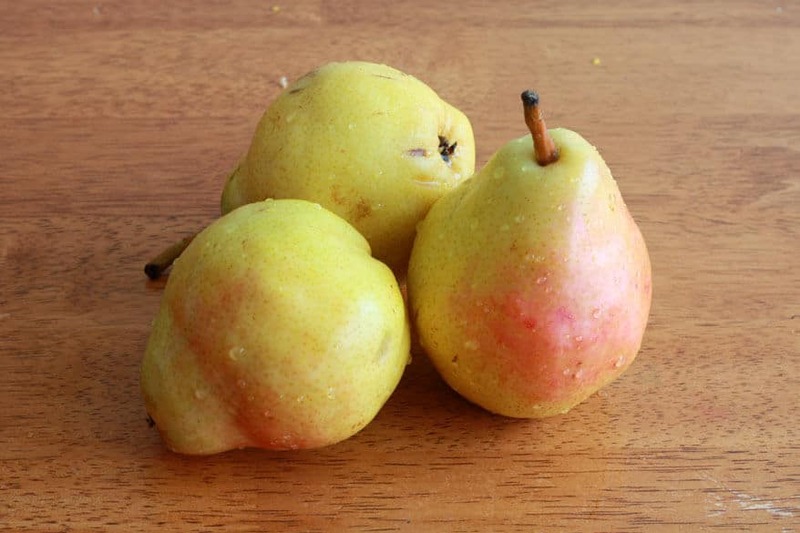 In the meantime, peel, core, and slice two pears. Whether the pears are large or medium, two should be enough. 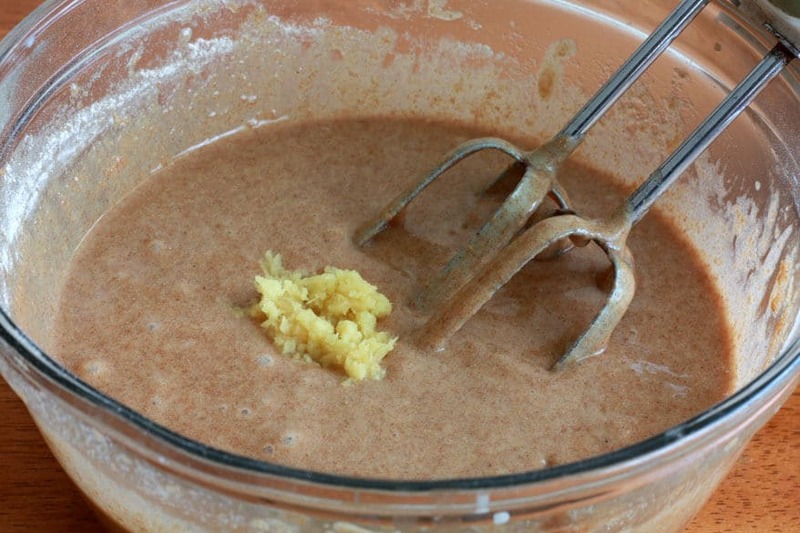 Stir the butter/sugar mixture until combined and smooth. Spread it out evenly over the bottom of the pan. 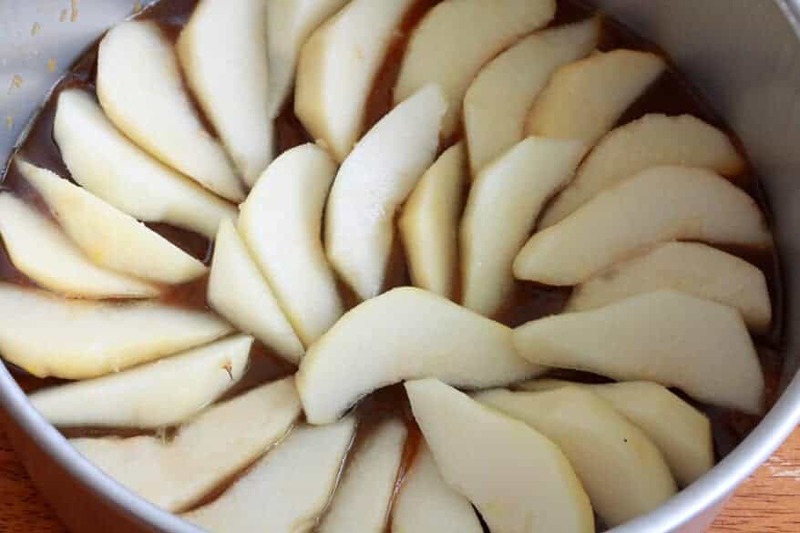 Place the pear slices on top of the butter/sugar mixture, fanning them out like spokes in a circular fashion. 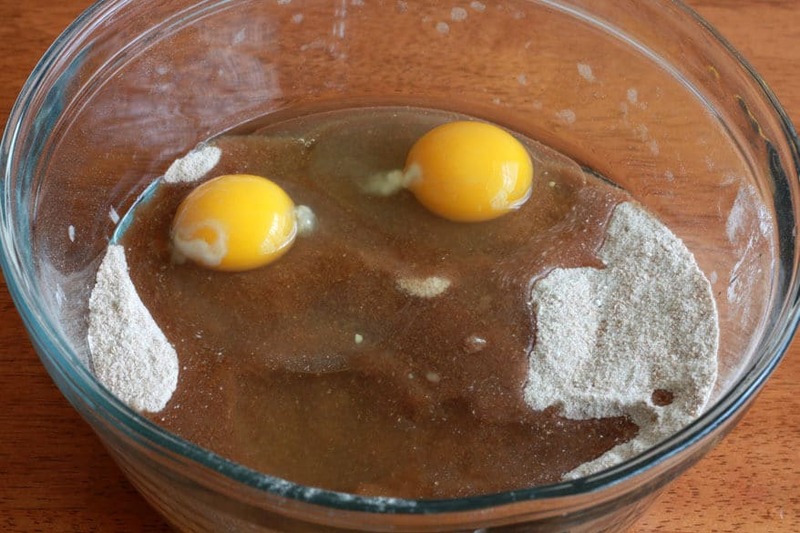 In a large mixing bowl, combine the flour, sugar, cinnamon, nutmeg, ginger powder, salt, baking soda and baking powder. Add the oil, eggs and milk (sorry, added the milk after the pic). Beat on medium speed with an electric mixer just until combined. Grate about 2 teaspoons of fresh ginger. Add the ginger to batter and beat just until combined. Pour the batter evenly over the pears. Bake in an oven preheated to 325 degrees F for 1 hour or until a toothpick inserted into the middle comes out clean. 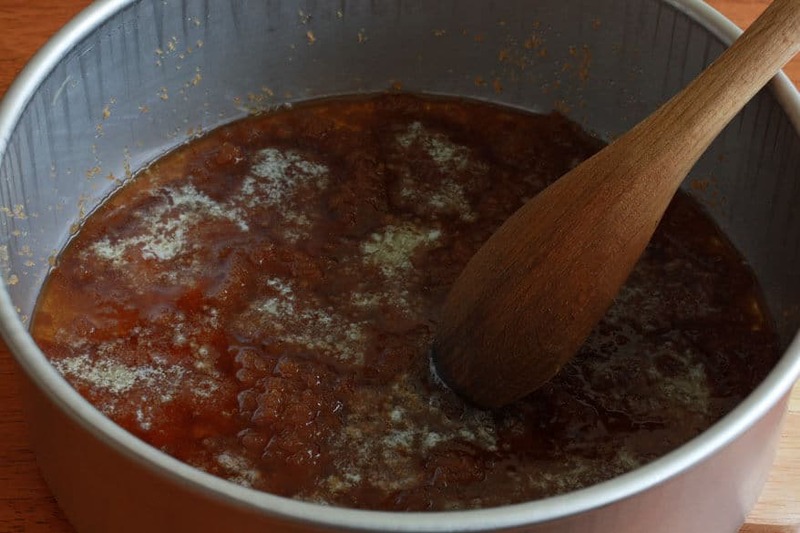 In the meantime, to make the caramel sauce, add the butter, sugar and cream to a small saucepan and bring to a boil. As soon as the butter has all melted, continue to boil for 3 minutes. Remove from the heat and stir in 1 teaspoon vanilla extract. Set aside until ready to serve. Remove the cake from the oven and let it cool in the pan for 20 minutes. Invert the cake onto a cake platter. Spread just a couple of tablespoons of the caramel sauce over the top. Reserve the rest to serve with the cake. 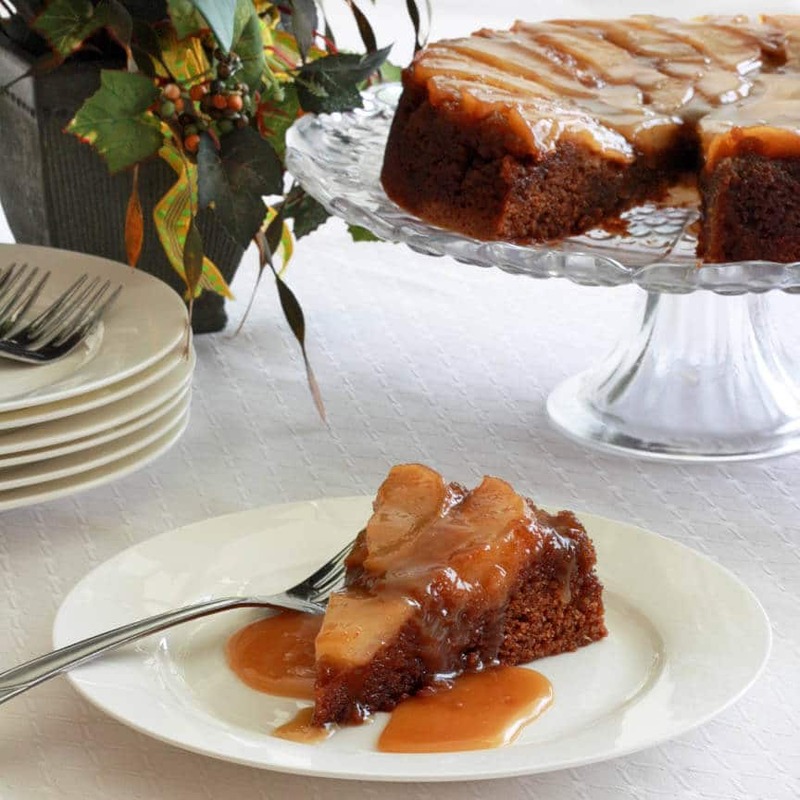 Serve the cake with the remaining caramel sauce to drizzle over. Interested in more caramel upside down goodness? 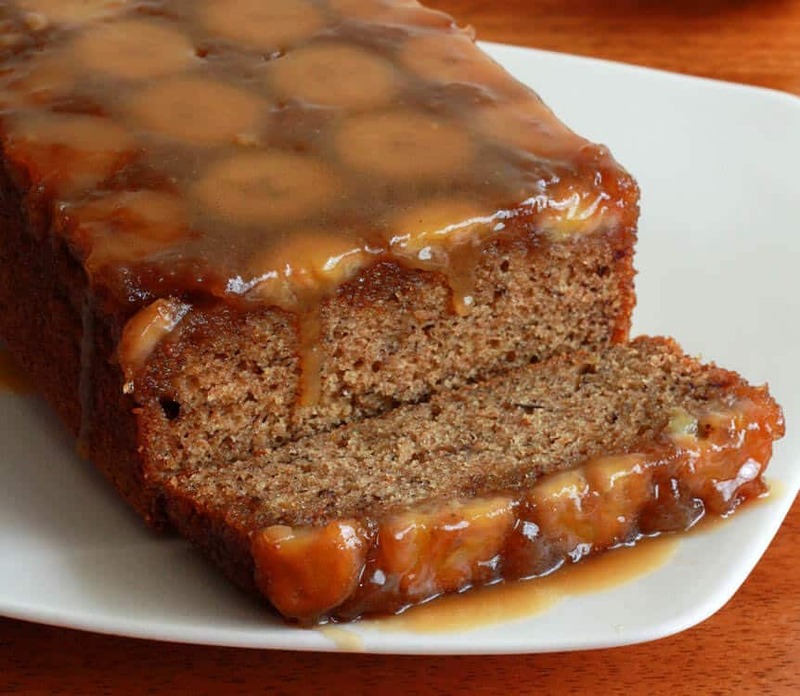 Try this amazing Caramel Upside Down Banana Bread! 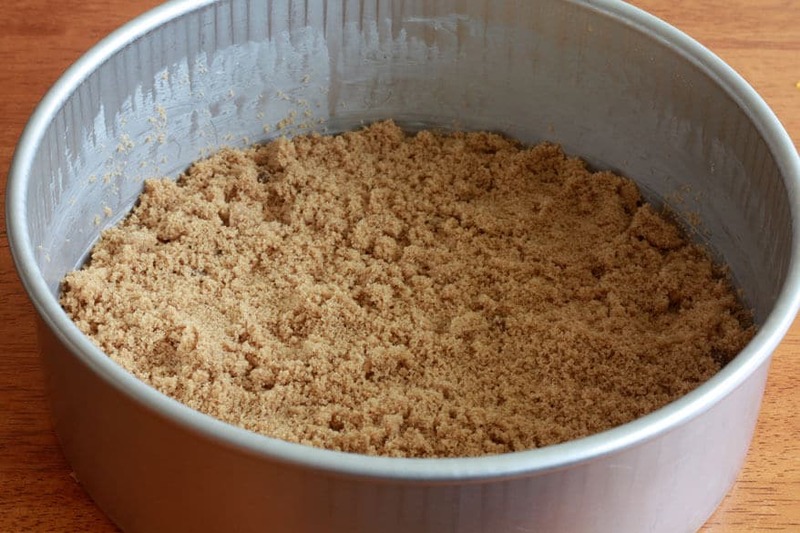 Spread the brown sugar out evenly on the bottom of the cake pan and spread out the butter pieces on top of the sugar. Place the pan in the oven for 8 minutes. 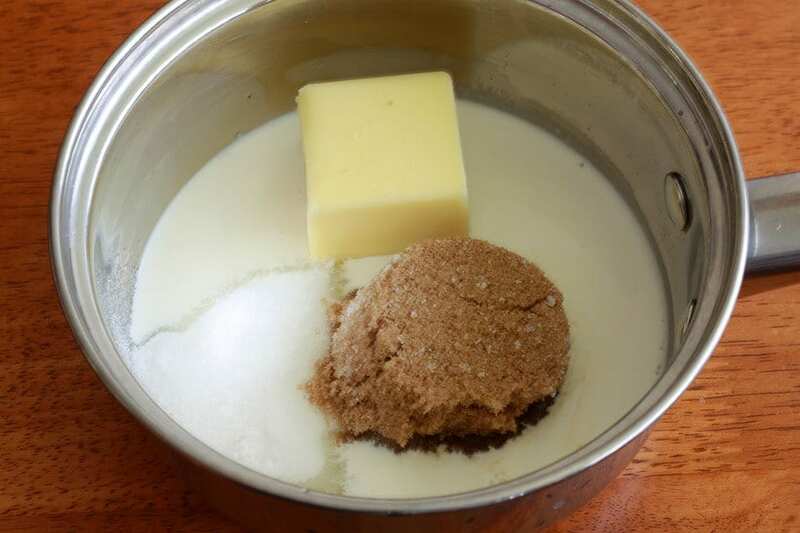 Remove the pan and stir the butter/sugar mixture until combined and smooth. Spread it out evenly on the bottom of the pan. Lay the pear wedges on top of the butter/sugar mixture in spoke/circular fashion. 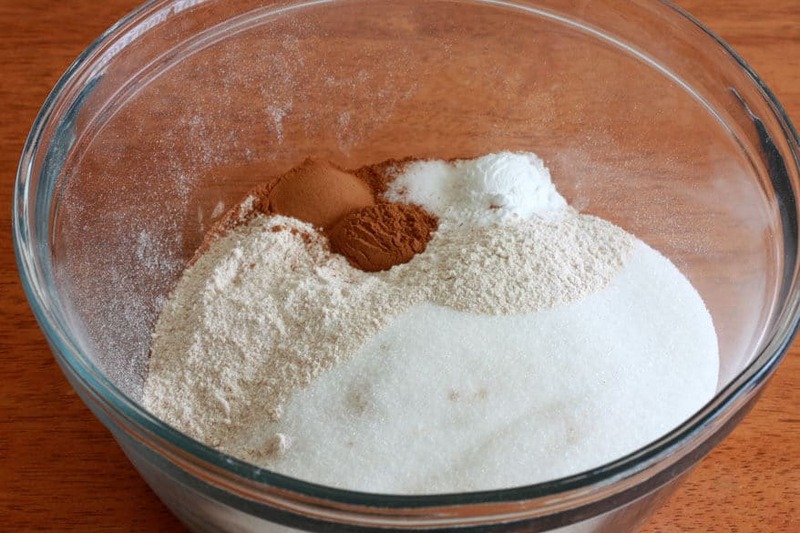 In a large mixing bowl, combine the flour, sugar, baking soda, baking powder, salt, cinnamon, nutmeg, and ground ginger. Add the eggs, oil and milk and beat just until combined. 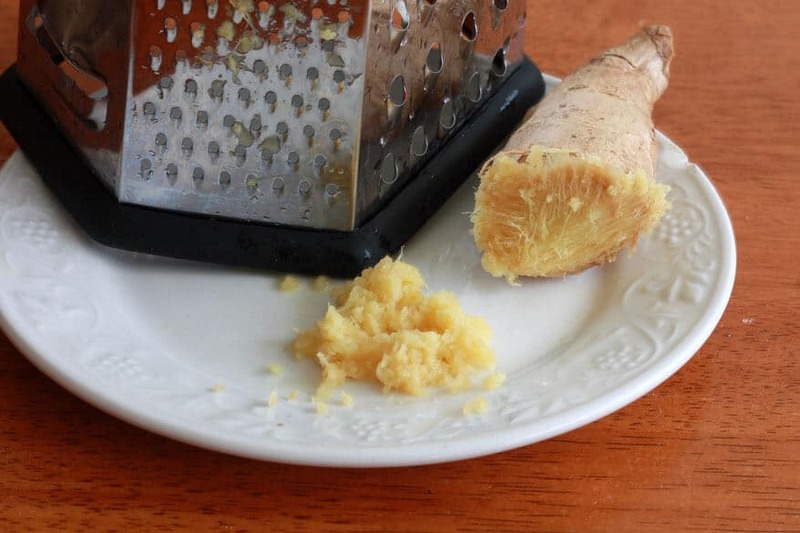 Add the fresh grated ginger and beat just until combined. Pour the batter evenly over the pears in the pan. Bake in an oven preheated to 325 degrees F for 1 hour or until a toothpick inserted into the middle of the cake comes out clean. 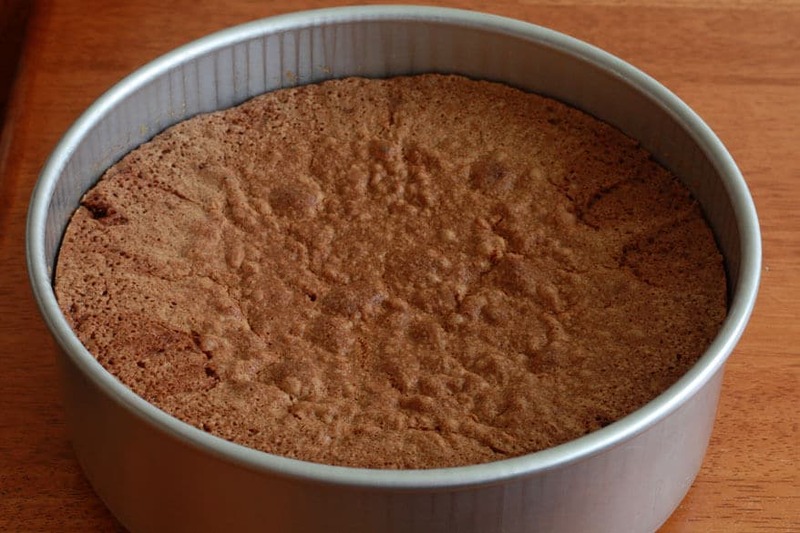 Remove the cake from the oven and let it cool in the pan for 20 minutes before inverting it onto a cake platter. 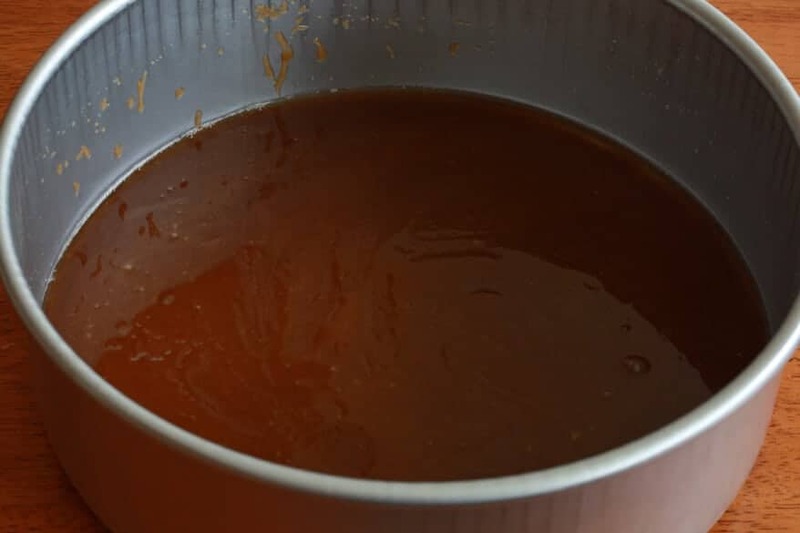 To make the caramel sauce: Place all sauce ingredients in a saucepan and bring to a boil. Once the butter is completely melted, let the sauce simmer for another 3 minutes. Remove from heat and stir in the vanilla extract. 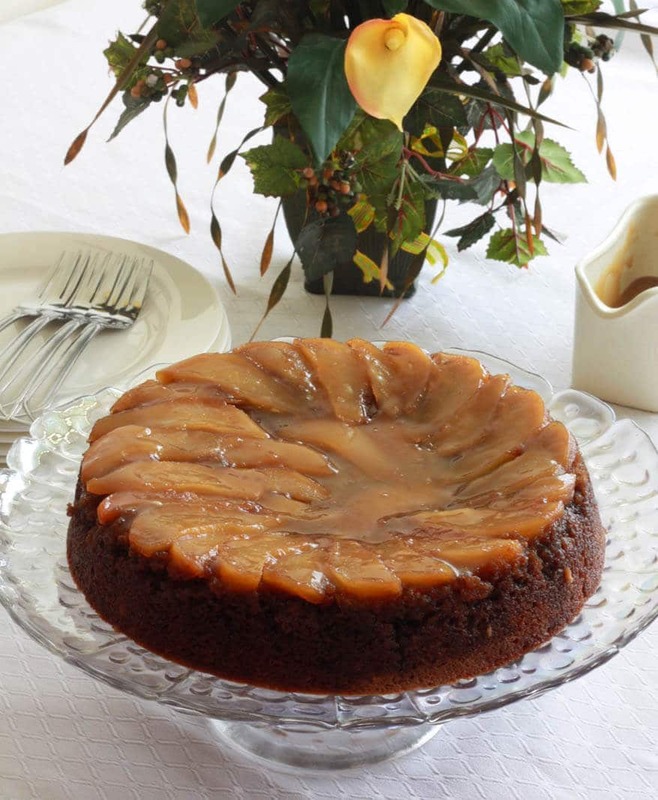 Spread about 2 tablespoons of the caramel sauce evenly over the warm cake (on top of the pear wedges). Mmmm yum, your cake sounds seriously delicious! Wow, this is a mouthful to say and I bet it’s a mouthful of yumminess too! I can’t wait to make this one sometime. Mmmmmm. ‘Tis true. And that’s the abbreviated version, haha! It was soooooo good! Todd doesn’t like cake, never has, but he really enjoyed this. this look and sound soooo delicious! thank you for sharing this recipe! Thank you! Honestly, this was one of the best cakes I’ve had, ever. Definitely one I’ll make again…and again. 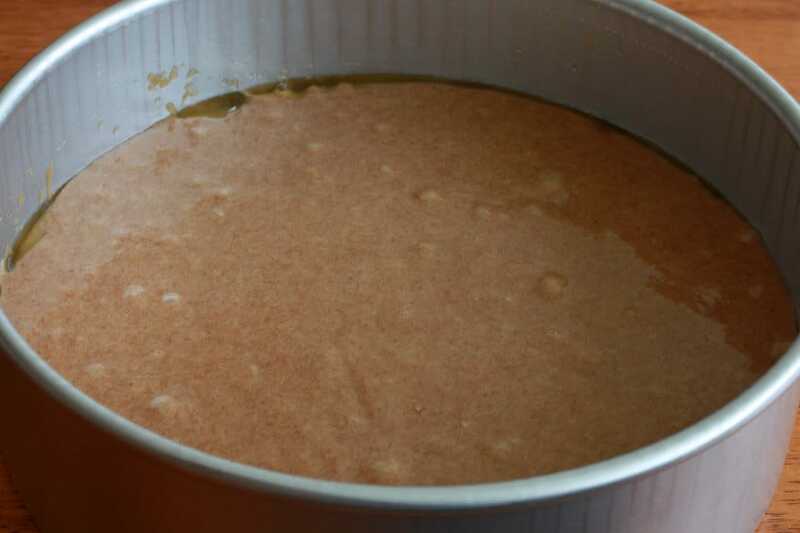 half the sugar,replace the oil with apple sauce and mix your flours eg spelt,barley,wholewheat and brown rice flour. Result-moist and not overly sweet .Yummy ,yummy. For a healthier alternative, that sounds great! I use buttermilk a lot as well, particularly when I’m using whole grain flour – it does absolute wonders for generating a moist crumb. 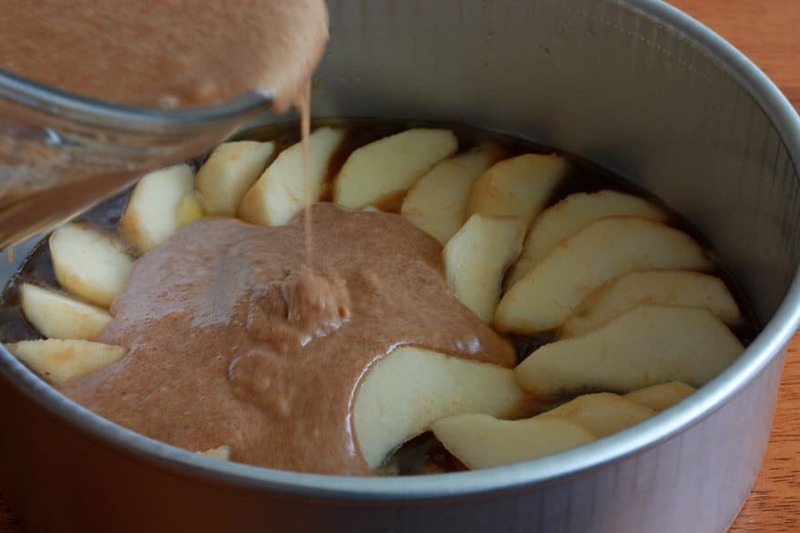 Did you still serve it with the not-so-healthy, super sweet caramel sauce? This looks delicious! It’s in my oven right now..unfortunately my pan is a tad bit shorter so I’m kind of expecting it to overflow. Fingers crossed hey! I finally made this a couple of weeks ago and it was delicious! A tasty bit of happiness. That’s a great way of putting it :) So glad you liked it and thank’s for the feedback. I can’t wait to make it again myself! Well it sat on the edge torturing me but never went over! Hooray! Wahoo!!! SO glad it didn’t spill over! Sorry you had to experience so much anxiety over the course of that 1 hour baking period, but I’m glad it paid off in the end :) It’s one of my new favorites, too. 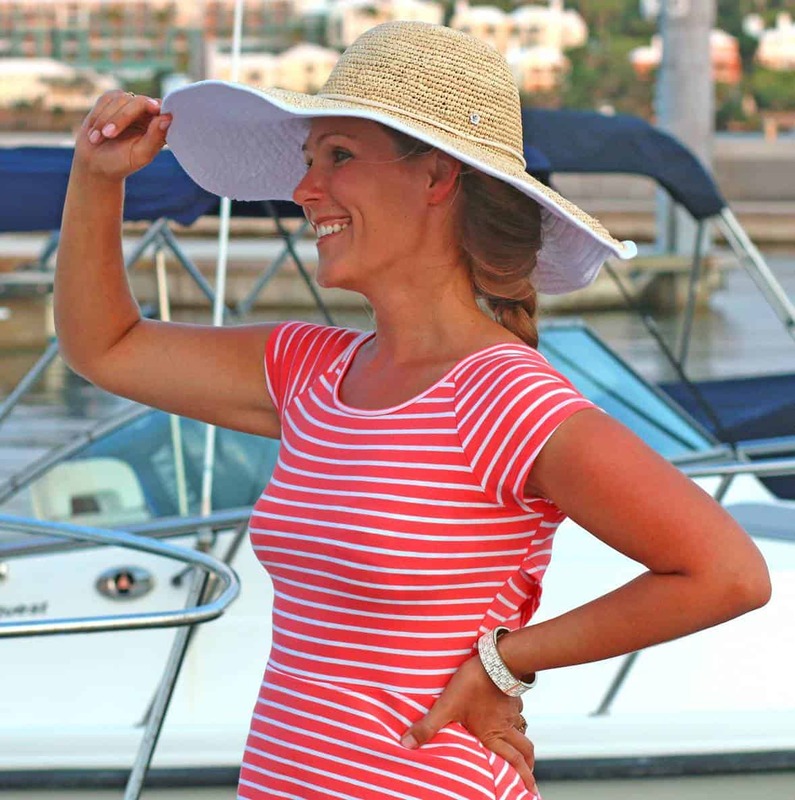 And YES – thanks for sending those friend my way! Hi LaDonna! You can use either. But the riper the fruit is, the more flavor it will have. 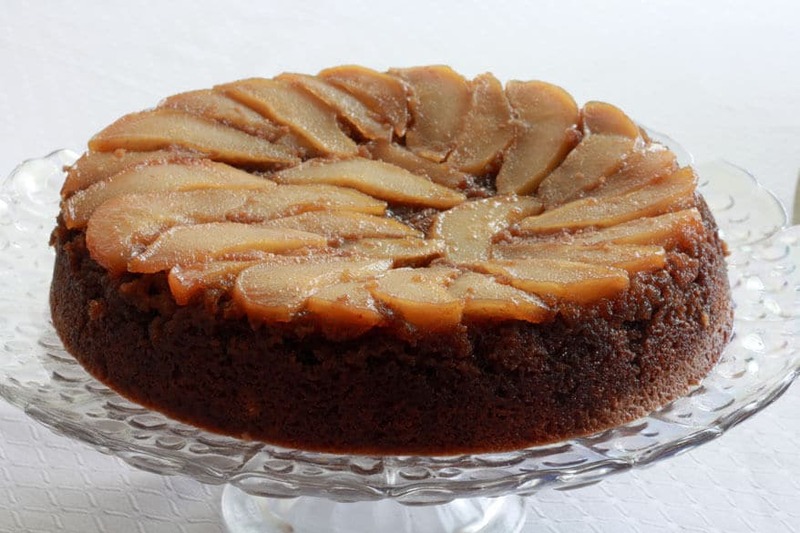 I baked this just now without the apple layer ………….and i loved it , was surprised with the result, my mom loved it too. No one can tell this is made from whole wheat flour. Thanks a ton sweety. Will save this recipe for a life time. Wonderful, Keerthana, I’m so glad it was a hit and appreciate the feedback, thank you!